We craft long-term relationships based in a steadfast pursuit toward improving their results. The home for all your coil, sheet metal, and sheet metal accessory needs. Since 1997, we have been committed to providing a service experience that is top notch to the Greater Philadelphia area, including South Jersey and Delaware. Give us a call and experience the difference for yourself! It is our mission to ​maintain a local viewpoint while supplying our customers with a quality product at a competitive price and providing superior customer service. What Makes Sherwood Metal Great? We are the metal supply company in Bucks County for all of your sheet metal, coil, and metal accessory needs! Since 1997, we have been committed to providing customers with an impeccable service experience that is unparalleled. Sherwood Steel is proud to be a family-owned and operated business, serving the Greater Philadelphia area, including South Jersey and Delaware. Our customer-focused business model lets us build lasting relationships in addition to providing quality products at competitive prices. As a metal supply company in Bucks County, we buy a large volume of sheets and coils that we can level and shear accordingly for each project. Galvanized sheet metal, coils, stainless steel, and aluminum can all be customized specifically to your project needs. Our sheets and coils come in an array of widths, lengths, sizes, and gauges. Working with many HVAC contractors, we know that custom sizes like 24×96 are often necessary, which is why we will never sell you more material than you need. Our custom work lets you buy exactly what you need, conveniently and efficiently. Visit our products page to explore the variety of sheet metal we have for sale. Our 30,000 sq ft facility, located in Bensalem, PA, allows us to store a significant amount of inventory. Our large facility enables us to offer same-day pickup for our customers. The variety of materials on-demand and same-day pickup makes Sherwood Steel ideal for customers looking to get a job done in a time-efficient manner. In addition to same-day pickup, we also complete deliveries to customers with a 1-2 day delivery time. 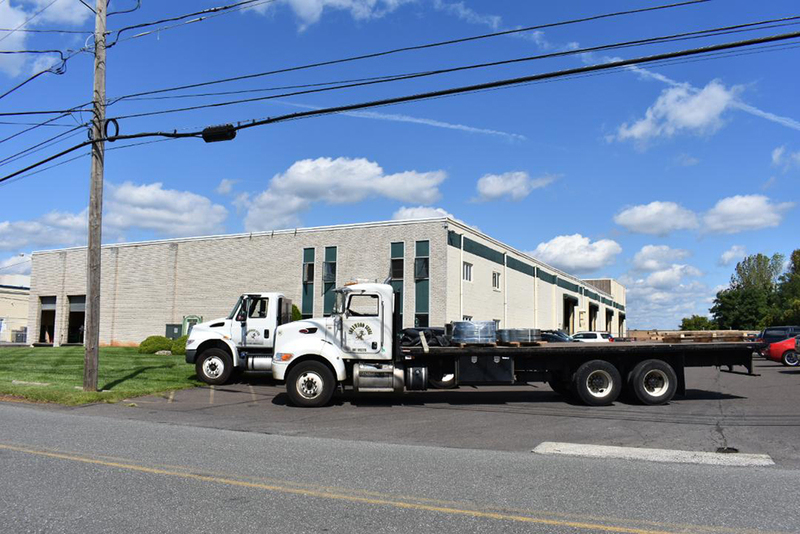 When you buy from Sherwood Steel, you are buying from a metal supply company that is dedicated to providing Bucks County and the surrounding areas with complete customer satisfaction. Our core values of honesty and integrity have allowed us to grow to the point we’re at today. Between our years of experience and extensive knowledge of the industry, we are sure to satisfy your metal sheet and coil needs. Experience the difference of working with Sherwood Steel today!